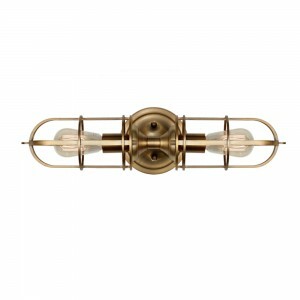 Posted January 8, 2014 by Norburn Lighting and Bath Centre & filed under New Products, Restoration Lighting, Vintage Lighting . 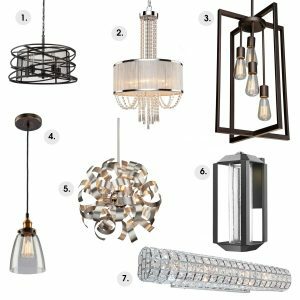 The restoration look is a consistent favorite, and this style may be here to stay, the style blends seamlessly with modern, transitional and more traditional interiors. 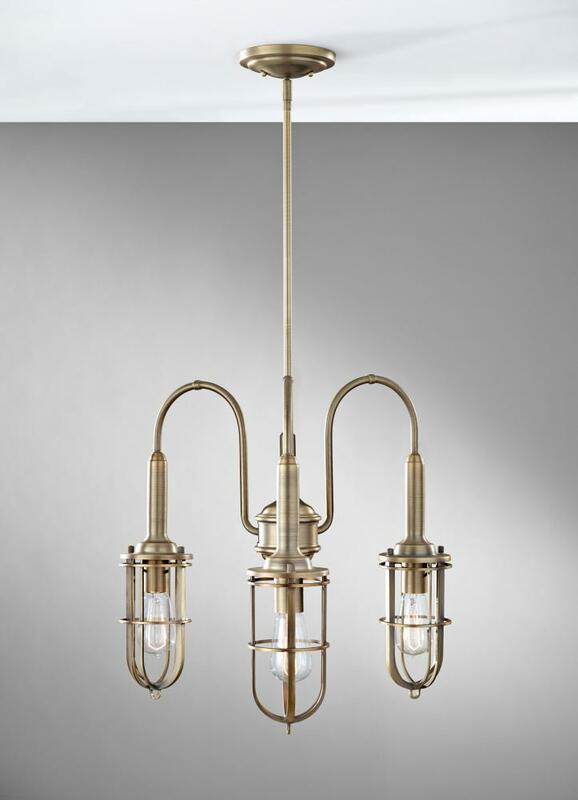 Murray Feiss has introduced the Urban Renewal collection, which hits all on counts the restoration early-electric aesthetic. 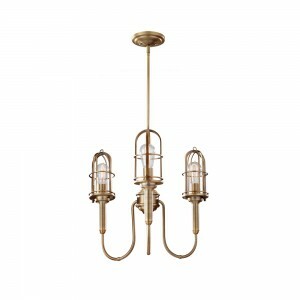 The collection ranges from vintage looking with metal cages, seeded glass, and flared shades, to more modern silhouettes. 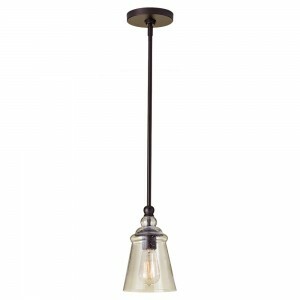 Clean lines, smooth shapes and update schoolhouse looks help bring this beloved industrial style into modern times. 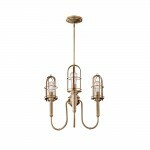 The Urban Renewal Collection by Feiss has quickly become one of the most requested brands top sellers. 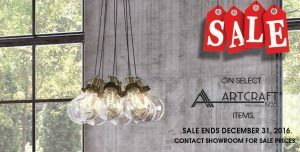 Showroom staff has asked for the line to be expanded to include new pendants, chandeliers, sconces and vanity lights in addition to the recently introduced Urban Renewal portables and floor lamps. 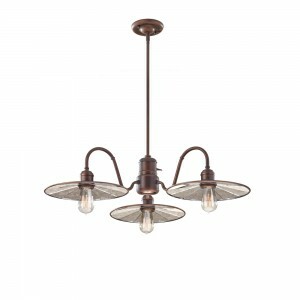 The new three-light Urban Renewal chandelier (Item #F28253DAB) offers a unique mix of industrial inspiration with traditional chandelier arms. 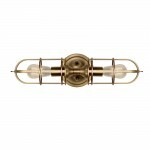 The adjustable arms are easily (and permanently) turned down or upward by fastening an included hex nut, which provides a nice option to customize. 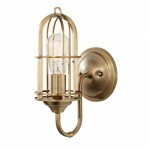 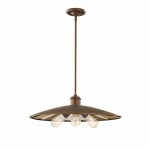 This luminaire is finished in Dark Antique Brass, and its dimensions are 18.75 high (with an adjustable height of 24.5 to 72.5) and 22.12 in diameter. 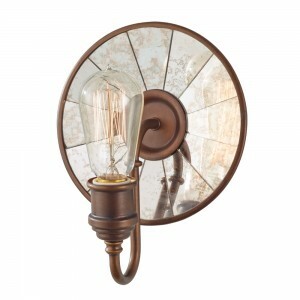 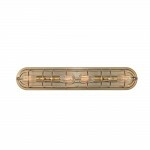 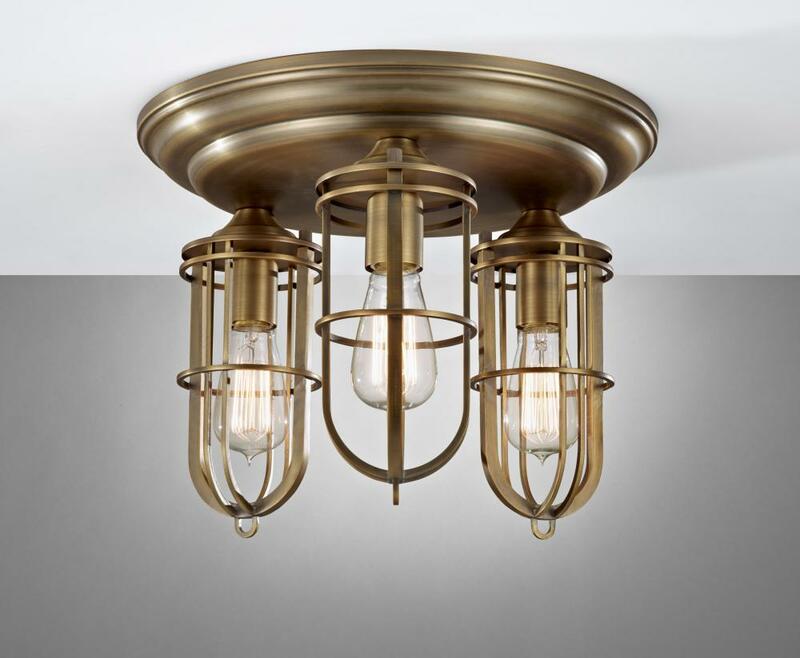 The new three-light Urban Renewal flush mount by Feiss (Item # FM378DAB) is purposefully designed to coordinate with this Collection mini-pendants which are fashioned after vintage factory lighting. 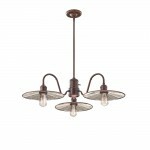 Its dimensions are 11.37 high and 15 in diameters. 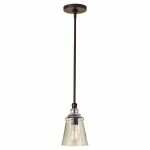 Feiss has also added new pendants and sconces to its Urban Renewal Collection with a three-light pendant (Item #P1281ASTB) and one-light sconce (Item #WB1701ASTB). Both have an antique tiled, mirror glass interior finish for an added design detail.